Pretentious, narcissistic, self-indulgent and maybe best described as an actors mental breakdown extending over two hours. Not what you might expect to read when investigating the film honoured with “Best Picture” at the Oscars 2014. The academy has always had a soft spot for any film that peeks behind the industry curtain and attempts to portray just how hard being an “actor darling” actually is. Stage acting of course being more torturous and riddled with self doubt than screen acting. Starting with a percussive score which appears to be from a different film, we get to meet Riggan (Michael Keaton), ex huge movie star after playing “Birdman” through a trilogy of superhero movies. Riggan is struggling to make himself relevant again, both critically and financially. To solve his many problems, he decides to stage a play on Broadway to re-establish his credentials as a “real actor”. What the story is actually about maybe only the director could tell us, as we get few clues from the screenplay. The story is told almost in semi real time, as the various rehearsals, previews and opening night of the dismal play unfold. The defining feature is director Alejandro González Iñárritu style of filming sequences edited to give the appearance of one long take. We follow the actors over their shoulder, as they interact with other members of the crew and cast, overhearing conversations as we pass by. The acting as you would expect from the cast is top notch but arguably for what purpose? We get to see some bravura sequences where Riggan appears to soar above the skyline, coupled with brief surreal sequences featuring “Birdman” and flashes of Riggan’s apparent super powers moving stuff around with just his mind. Or are these just delusions of a mentally unwell man, like “Beautiful Mind” another film of questionable sensitivity, arguably portraying mental illness as entertainment. The film follows the preparation and performance of the play and Riggan’s interaction with a theatre critic (Lindsay Duncan) poised with a pen acting as the sword of Damocles, ready to close the play the moment it opens. The parallels with Keaton’s own career are obvious and this is a brave leap of faith on his part. To his credit, the film has ironically done much to burnish his own fading star status, with life imitating art and vice-versa. Unquestionably the casting is strong, Keaton in particular is a stand out but the cast are ill served by a screenplay from director Iñárritu, that appears too smart for it’s own good. There is a danger of “emperor’s clothes”, with this rather self indulgent film being liked just because others reviewed it highly. For a mainstream much critically lauded film, this is a tough watch. 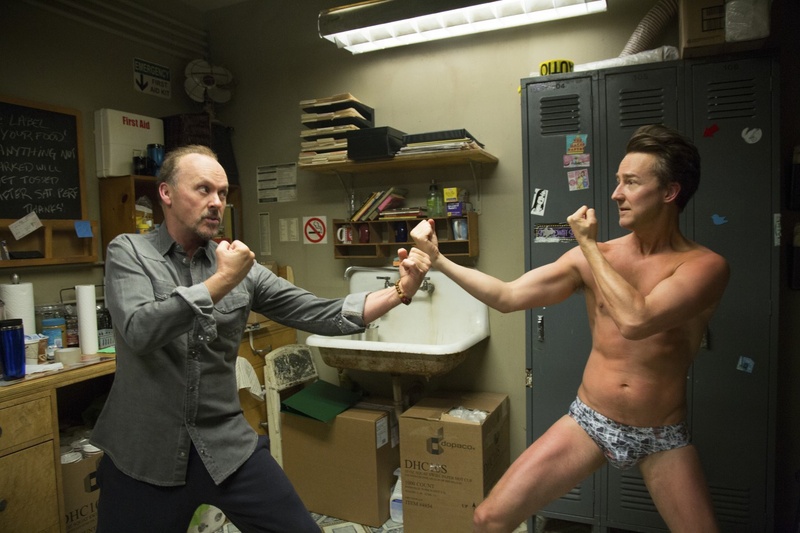 A causal viewer not interested in the minutiae of acting, may find “Birdman” struggles to get off the ground. Undeniably well filmed and acted but lacking cohesion and message, which presumably was the director/writer’s aim.